Usually it’s TerraCycle thanking our participants for all our hard work, but we recently received a wonderful surprise from Dutton Christian School! The students at Dutton sent us crafty, creative thank you notes, addressed to TerraCycle and the Brigade sponsors. Luray Elementary recently received a playground made out of flip-flops from our Old Navy Flip-Flop Replay last year, in which we collected old flip-flops for recycling. 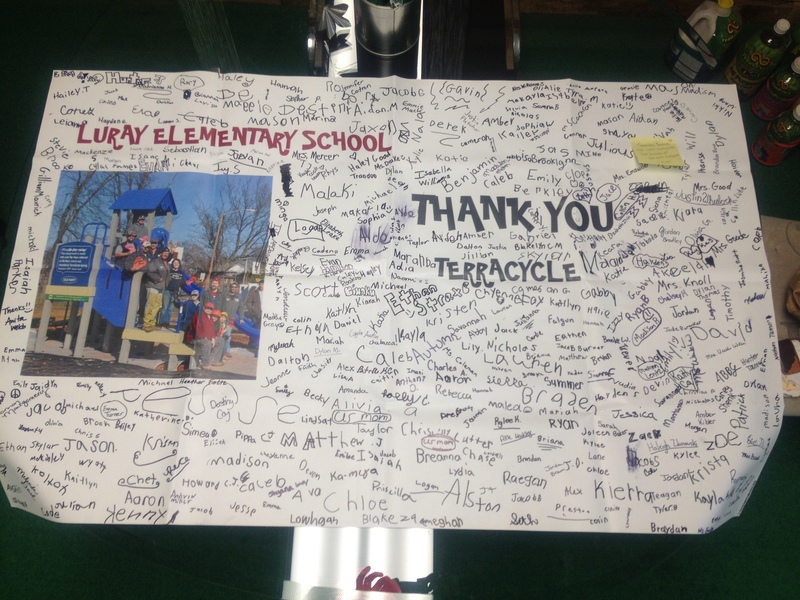 They sent us a thank you banner for their brand new, recycled playground, and the banner now hangs in our office. 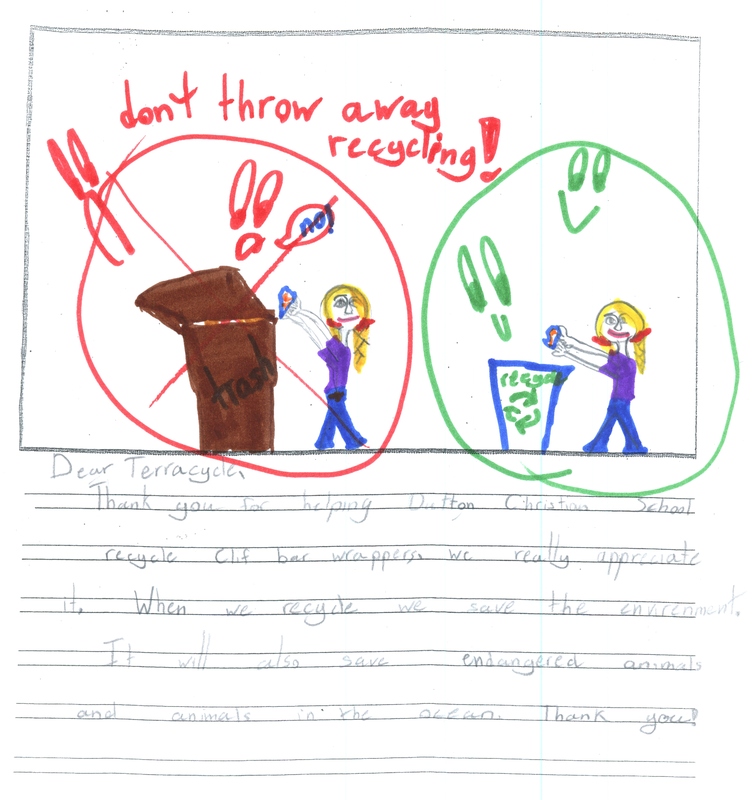 We’re happy to see how the students are learning from the recycling program and understand the importance of making a difference for the future of our planet! Every piece of trash collected makes a difference. Thanks, Dutton & Luray, for all your hard recycling work!